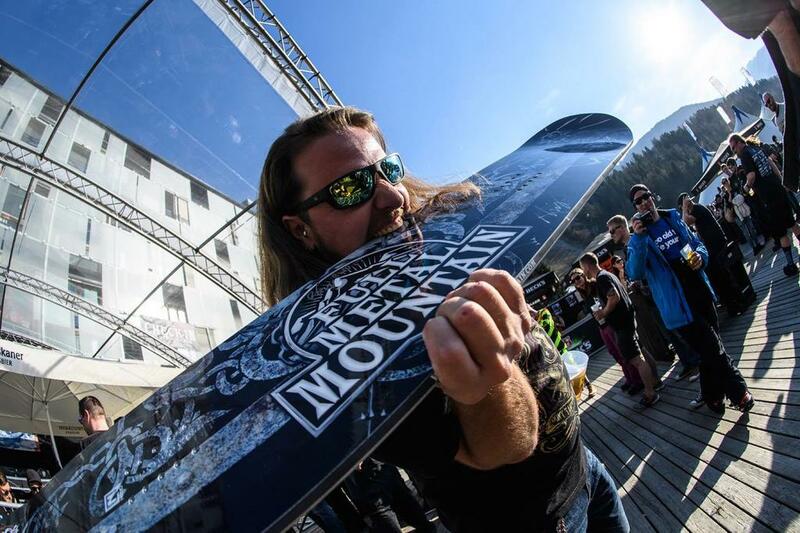 With our new FMM snowbaord you can master every downhill run. 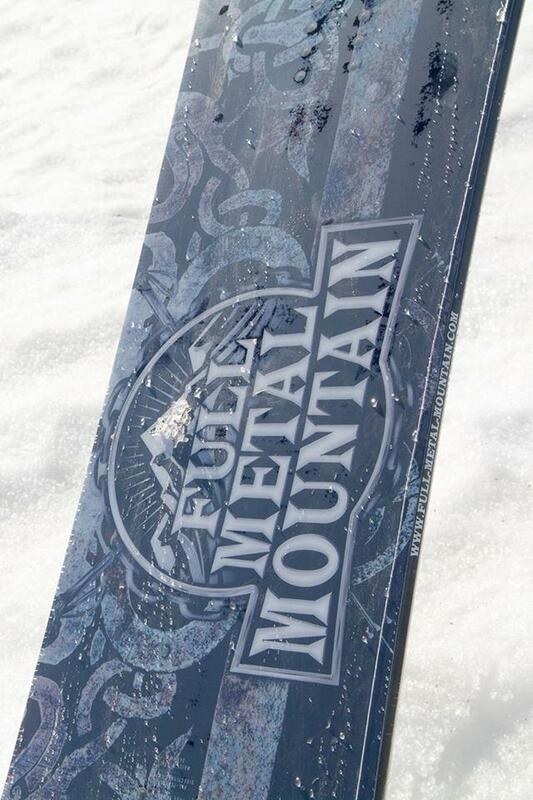 The FMM emblem decorates the top side of the board and is sourrounded by a squiggly pattern. 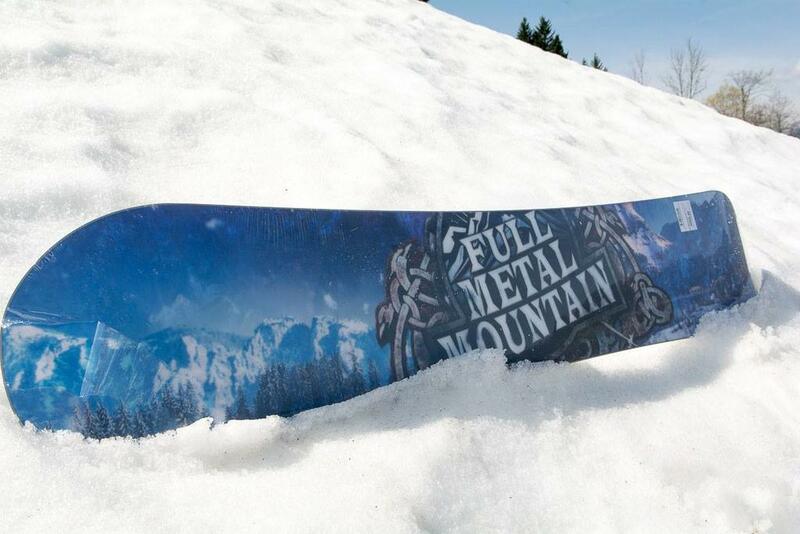 You can find on the bottom of the board the FMM emblem in front of a mountain panorama. 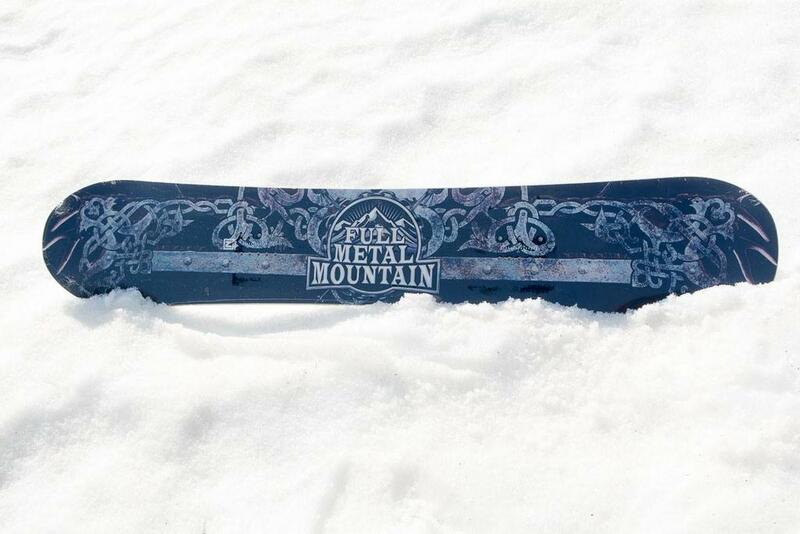 A perfect distinctive mark for all metalheads in the mountains.